Note Issue:-The main feature of a central bank is the issue of currency notes in the country. The Central bank controls the volume of currency in the country in accordance with requirements of business and the general public. Banker to The Govt. :-The Central bank is the banker to the government and also acts as its fiscal agent. The government keeps its balances with it free of interest. It receives and disburses the payments on behalf of the government and also makes advances to the government. 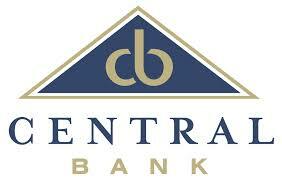 Banker’s Bank: – The Central bank also acts as the banker to the scheduled and other banks. It is the custodian of the cash reserves of the commercial banks. Every schedule bank is required to maintain not less than 5% of its total demand and time liabilities with the Central bank. Against these obligations, the scheduled banks are entitled to loan and rediscount facilities from the bank. This reserve with the central is considered as good as liquid cash. The provision of reserve enables the central bank to have control over the credit creation of the commercial banks. Lender of Last Resort: – The Central bank is the lender of last resort. It maintains a close relationship with the commercial banks. It takes the responsibility of meeting directly or indirectly, all reasonable demands for accommodation from the commercial banks, and other credit institutions under certain terms and conditions. Controller of Credit: – One of the important functions of Central bank is to regulate and control the credit in the country according to the varying economic situations. Bank rate policy and open market operations are the direct methods of central bank for controlling credit. It can decrease or increase reserve ratio & control the advances policy of commercial banks. Adviser to The Govt. :- It also acts an adviser to government on financial and economic matters. It provides an expert opinion on matters relating to economic development or to monetary conditions of the country. Clearing House: -The Central bank acts as the clearing house for other banks. Under this function the Central bank facilitates the settlement of bills and cheques of other banks by setting off demands of one against other and thus helps the functioning of the banking system so smoothly without actual cash transactions. Controller of Foreign Exchange: – the Central bank is responsible for the management of foreign exchange & maintaining external value of taka.